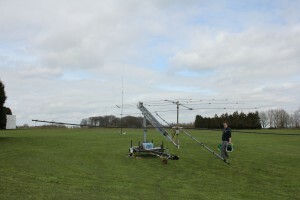 This year we had made some significant improvements to the station, with mono-band antennas for each of the HF bands. 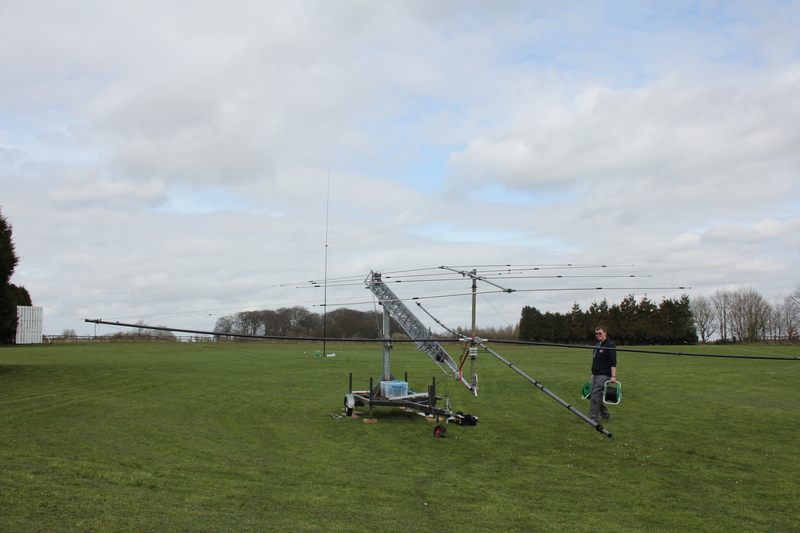 These were a 3 ele mono-band Spiderbeam for 20m at 55 feet, a 3 element mono-band Spiderbeam for 15m at 40 feet and a 4 element yagi for 10m at 60 feet. The 40m and 80m antennas were the usual full size quarter-wave verticals on Spiderbeam poles with 48 and 36 radials respectively. 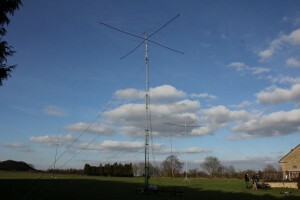 All the antennas in view, l-r 40m vertical, 20/10m on tower, 80m vertical and finally the 15m mono-bander.